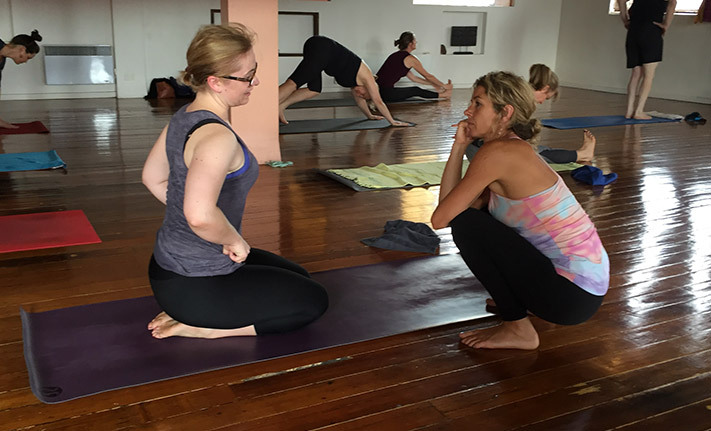 The week in paradise is a wonderful opportunity to practice with the balance of tradition and an attention to detail that is characteristic of teachers from the Ashtanga Yoga Centre of Melbourne. You can expect to be challenged, refreshed, encouraged and nurtured in one of the most pristine places on the planet. We welcome all students with a genuine interest in bringing more depth to their practice and who have completed at least our intro level 1 course or equivalent. 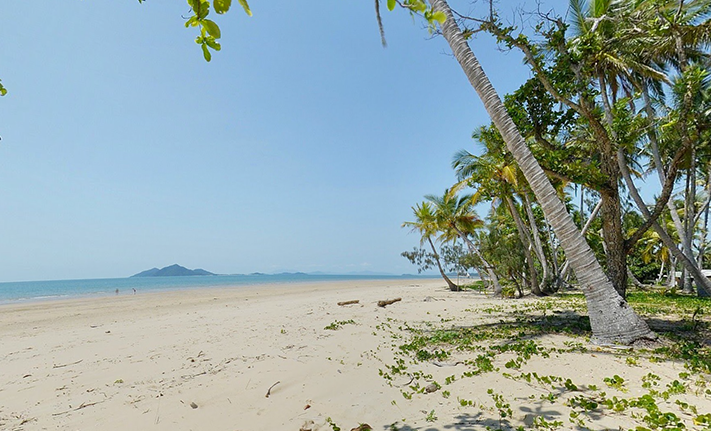 This year’s Retreat will be at the Sanctuary on warm, sunny Mission Beach in North Queensland. Get a 15% discount on accommodation in an exclusive deal available only to Retreat attendees. The Retreat runs during the Victorian School Holidays and you are most welcome to bring along partners, friends and family who are then free to enjoy the remarkable location while you head off down the jungle trail to class! Monday, Tuesday, Thursday & Friday afternoon sessions will be complementary practices to support the morning routines. Wednesday afternoon is free time for resting or an adventure into the remarkable natural surroundings! Students are free to leave at their leisure from Saturday morning September 24. Yoga component – $500 inc GST (payable to Ashtanga Yoga Centre of Melbourne). For meals and accommodation options, you need to book directly with Sanctuary. See their link below and use the code AYCM16 to receive a 15% discount on accommodation rates. Please note that this an exclusive offer to Ashtanga Yoga Centre of Melbourne and is not available in conjunction with any other discounts or offers. Book your own flights to Cairns as early as possible. Bus services connect from Cairns and Cairns Airport to Mission Beach (see Sanctuary website below). Please ensure that your flight arrives before 1.00pm to achieve an easy direct transfer to Sanctuary. Dependent on numbers, the direct transfer will cost between $45 and $65 each way. Sanctuary staff will assist in booking the transfers on your behalf. On the return, book a flight that leaves after 11.00am or later to enable a reasonably timed departure. Contact us – we are happy to help with additional details. Greg and Tracy Cooper each have 25 years’ experience and knowledge of Ashtanga Yoga. They learned Ashtanga from Australian Teacher Louisa Sear in 1992 and have maintained continuous practices ever since. During the ’90s, Greg and Tracy’s passion for yoga took them three times to Mysore in India, where they learned under the auspices of Sri Pattabhi Jois – the Grandfather of Ashtanga Yoga. Following a trip to Mysore, they established the first dedicated Ashtanga yoga school in Victoria in 1994 and have taught continuously ever since. The Ashtanga Yoga Centre of Melbourne and is now based in Fitzroy, Melbourne. Greg and Tracy began running annual yoga Retreats at Sanctuary ecolodge in Queensland in 2000, to give students a more intensive connection to their yoga practice in a tropical climate with the backdrop of a pristine natural environment. Greg and Tracy Cooper are responsible for introducing Ashtanga Yoga to thousands of people, many of whom maintain their daily practice all around the world.